Swirl Wedding Set in 14k Yellow Gold | Shane Co.
Down on one knee, take her hand and vow to love her unconditionally for a lifetime. 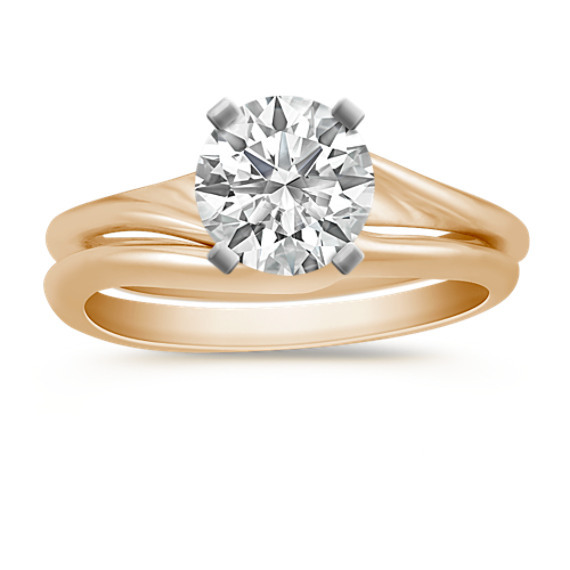 The simple beauty of this lovely wedding set in 14 karat yellow gold is sure to find the answer you've been looking for. Shiny swirls of 14 karat yellow gold with a brushed finished accent a center diamond shape and size of your choice.